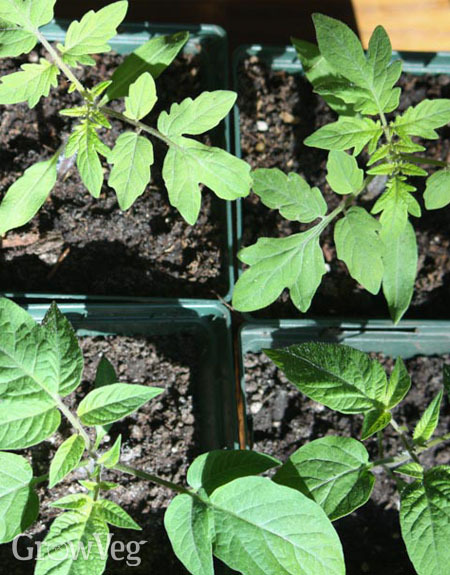 No matter how long you grow a vegetable garden, you are never immune to the allure of proud little tomato seedlings that plant themselves in your compost pile, your flowerbed, or maybe the crevices in a stone walkway. One part of us wants to honour the gallantry of tomato seedlings that appear out of nowhere, but we are suspicious. What genes are they carrying? Was their mama a delicious variety you grew and loved, or the one you swore you'd never grow again? Many gardeners who have done this have been amazed at the hardiness and vigour of tomatoes allowed to choose their own growing spaces, but there is no guarantee that the plant will bear a prolific crop of tasty fruits. 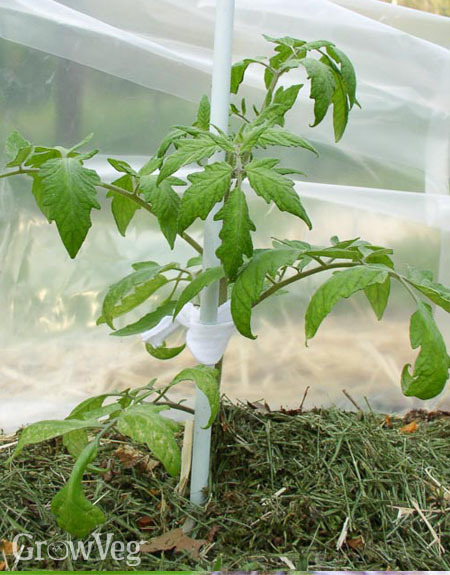 However, if you know your garden's tomato-growing history, you may be able to make a good guess based on leaf types. The majority of tomato varieties have what are called normal-shaped leaves, while those with broader, flatter, more pointed leaves have the "potato leaf" characteristic. Some cherry tomatoes have small, finely cut leaves that make them recognisable, too.